Carly Booth is a Scottish professional golfer. At the end of 2009, aged 17, she became the youngest-ever Scot to qualify for the Ladies European Tour. Booth became the youngest ladies golf club champion in Britain at the age of 11 at Dunblane New. Upon turning professional, Booth had a golf scholarship to complete at Glenalmond College in Scotland. She started there after returning from America, where a stay at David Leadbetter’s Academy in Florida was followed by a spell at a school in Arizona. As a youngster, Booth was able to practice on the course made exclusively for her and her brother, professional golfer Wallace, by her father Wally at the family farm near Comrie. Wally was a Commonwealth Games silver medallist wrestling champion. Booth is a competent gymnast and can perform somersaults and back flips! Booth enjoyed an amateur career richly laced with records and accolades, being described as a Scottish golfing prodigy. Aged 12, she played with Sandy Lyle in the British Masters Pro-Am and at 14 she appeared in her first professional event, the Ladies Scottish Open, and finished 13th. She was rated the No. 1 junior in Europe after winning the European Junior Masters in 2007, the same year she lifted the Scottish Under-18 and Under-21 titles. In 2008, she became the youngest player to represent Great Britain & Ireland in the 76-year history of the Curtis Cup, facing the Americans in the 35th staging of that match at St Andrews. She also played at the Junior Ryder Cup in 2006 and 2008 and won the Daily Telegraph Finals in 2007 and 2008. In 2010, she finished 14th at LET Final Stage Qualifying School for 2010. 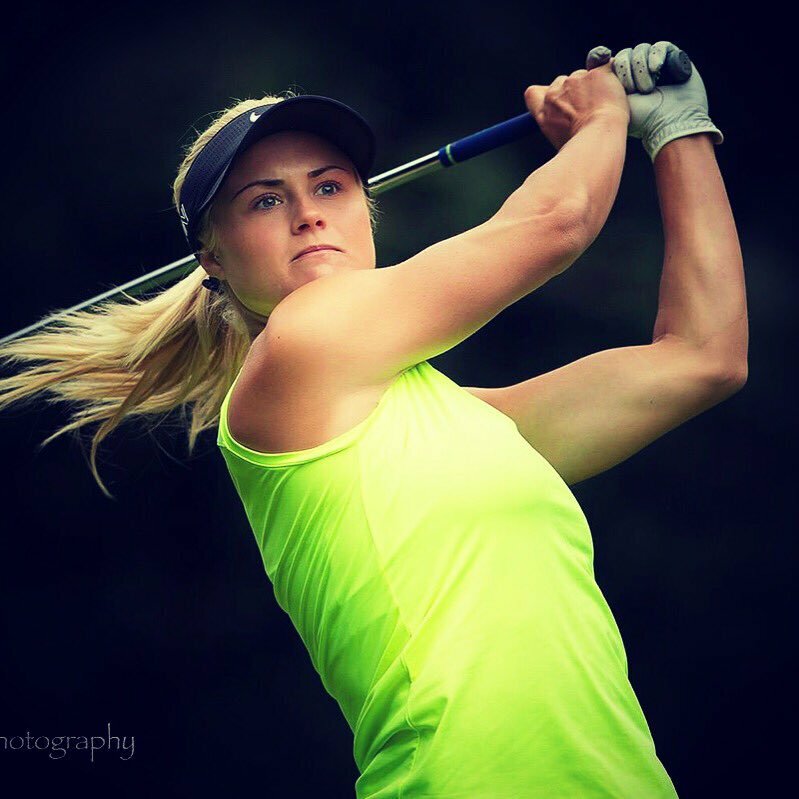 Booth made her professional debut on the Ladies European Tour at the Lalla Meryem Cup in Morocco. In 2013, Carly played in 18 events and posted an additional top-10 finish at the Aberdeen Asset Management Ladies Scottish Open presented by EventScotland. She ended the season ranked 106th on the ISPS Handa Order of Merit. In 2012, Carly had her breakthrough season with two victories at the Aberdeen Asset Management Ladies Scottish Open presented by EventScotland and the Deutsche Bank Ladies Swiss Open. She recorded two additional top-10 finishes: T7th at both the Ladies Irish Open and Allianz Ladies Slovak Open. She played a total of 19 events and finished the season ranked 5th on ISPS Handa Order of Merit and 7th on the Solheim Cup Points list. In 2011, Carly played in 15 tournaments and made seven cuts with a season-best tie for 19th at the Aberdeen Ladies Scottish Open. After finishing 109th on the Money List, she returned to Final Qualifying School at La Manga Club and just lost-out in the play-off for the top 30 spots, ending 31st and earning membership of the LET in category 9b. In 2010, her rookie season, turned 18 in June and juggled professional golf with A-level school work. Posted a season-best tie for 23rd at the Aberdeen Ladies Scottish Open. Finished 98th on the Henderson Money List with season’s earnings of €16,743.11 from 19 events.